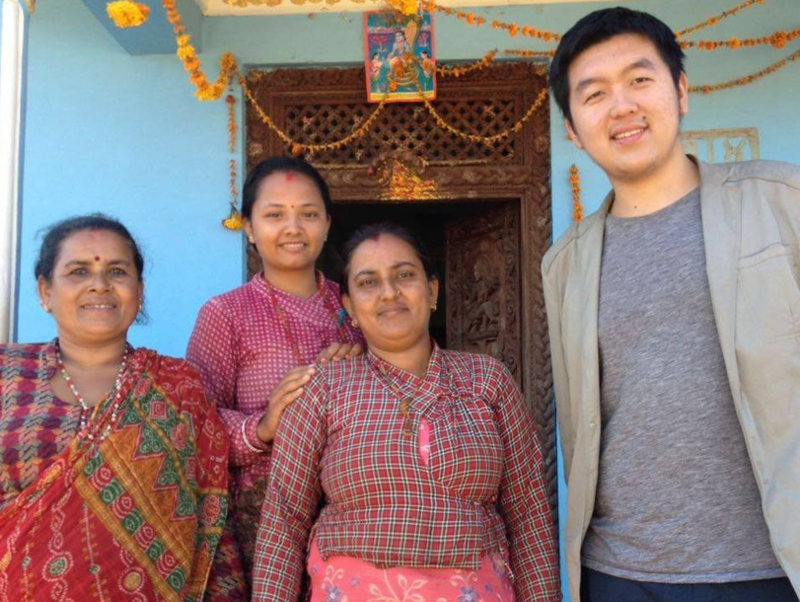 Bolun Li (right) visits with women in the Kushadevi village in Nepal, where his organization, Development Innovation Insider, advised a grassroots organization (JYOTI) on youth and women empowerment. It has been almost a year since I graduated from Duke. Memories are still fresh, and I still miss the faculty and my friends dearly. I’m deeply grateful to the Duke Global Health Institute (DGHI) and the incredibly beautiful time I spent in Durham. 1. Work with the people you want to work with. My most memorable experience with DGHI is the fieldwork—in my case, working with the Maddox Jolie-Pitt Foundation (MJP) and SNV Netherlands Developing Organisation in rural Cambodia (read more about my experience in a previous blog post). Thanks to my mentor, Dr. Marc Jeuland, I was able to have this great opportunity to work deep in rural Cambodia with dedicated staff from MJP. For me, working for grassroots people and solving challenges of underprivileged communities has been a long-term dream, but I’d never had an opportunity like this. Many staff members at the foundation are local people that come from the communities and have experienced significant hardships for decades—the Khmer war, refugee influx, reconstruction, etc. They suffered tremendously in the past, but they started a new chapter at MJP. At the same time, they are extremely dedicated to the community and have contributed significant efforts to the foundation’s work to help more people. The value of working with the people you want to work for seems obvious, but this experience really demonstrated how important this notion is to me. I have been hoping to return since I left. province of Cambodia, during his fieldwork experience. Last year, after graduating from Duke, I created the initiative Development Innovation Insider along with other friends, trying to find more ways to better work with grassroots people and organizations. Many grassroots organizations in emerging countries are small, with direct work for poorer people but unfortunately fewer resources and less capacity support. We are on the way to working closely with grassroots organizations that we want to work for and creating lasting impacts that can go to scale for the “bottom of the pyramid”—that is, people living in underprivileged communities. I was lucky to have plenty of opportunities at DGHI to work on real-world problems through various competitions, workshops and other forums. The Duke Ebola Challenge was one of the best competitions I participated in during my time at Duke. Our great team (which included several fellow MSc-GH students) came up with practical solutions to the Ebola crisis in 2014, and had a great learning experience. 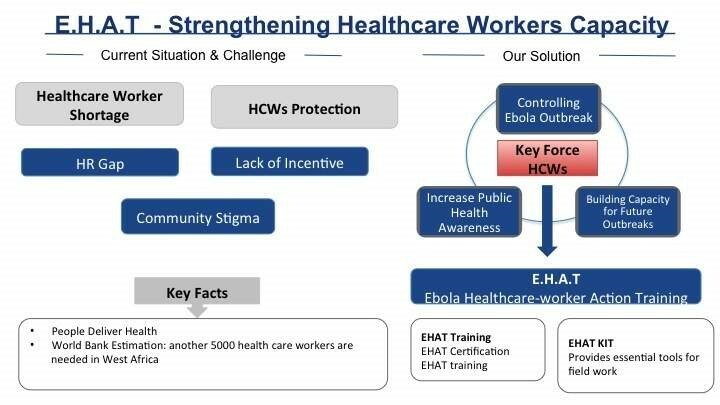 Our presentation for Duke Ebola Challenge. We were also encouraged to become problem solvers in our classes. For instance, the course “Health Systems in Developing Countries,” led by Dr. Muhammad Ali Pate and Dr. Kevin Shulman examined a health system from multiple perspectives and empowered us to come up with most effective approach to give suggestions on how to improve it. We went through cases from Thailand to Ethiopia, from Indonesia to Lesotho. Real-world cases combined with real world experiences made for a truly memorable learning experience. 3. No pressure, no growth. As one of the best universities in the world, Duke is not easy to attend; earning a Duke degree proved to be a significant challenge for me, with a significant amount of reading and writing each week. In addition, I was intimidated by some of my classmates, who had much more work experience than me. At the end of my first semester at DGHI, my academic results were not ideal, but I continued believing in myself and began the second semester setting high standards for all my courses. Eventually, I became more comfortable learning and working alongside my more experienced peers. I found I was able to contribute meaningfully to classroom discussions at DGHI as well as in my electives in the Sanford School for Public Policy and the Fuqua School of Business. While it was stressful, it was well worth the effort—I earned almost all A’s by the end of that semester, and I continued to thrive through the rest of the program. During my time at DGHI, I observed significant personal growth, and I attribute this growth in large part to the pressure I felt to succeed. Finally, I want to thank DGHI again for this wonderful journey. I look forward to coming back sometime soon and sharing my progress and the impacts I have made on the people I want to work with and work for!